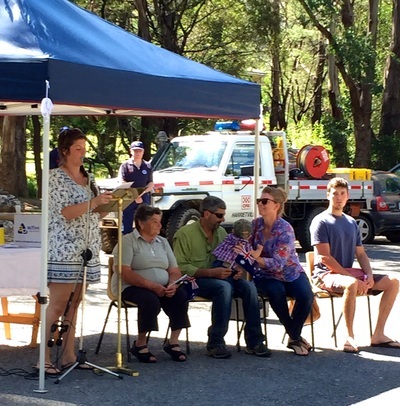 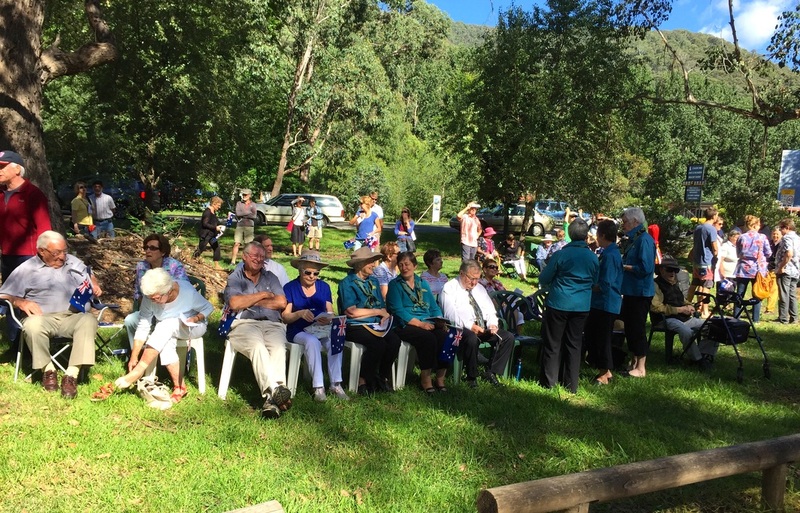 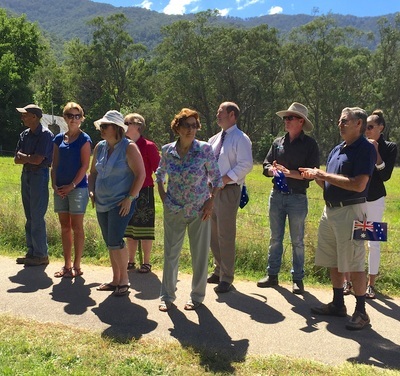 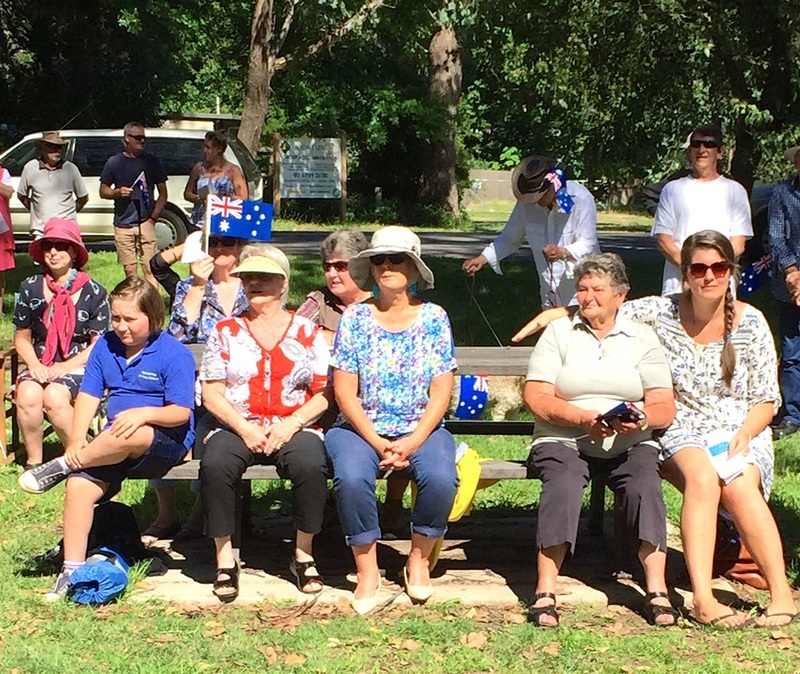 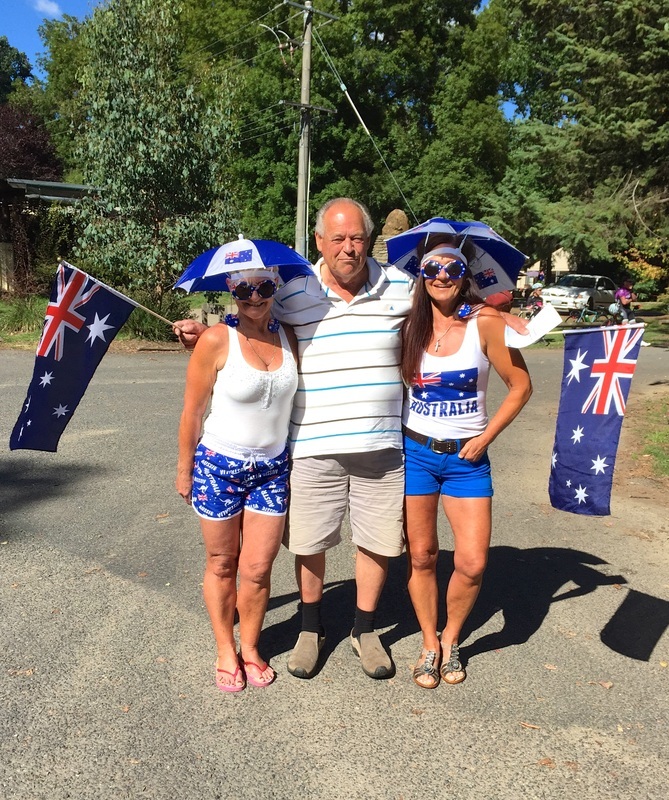 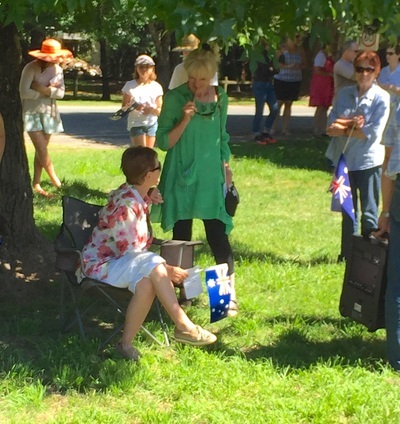 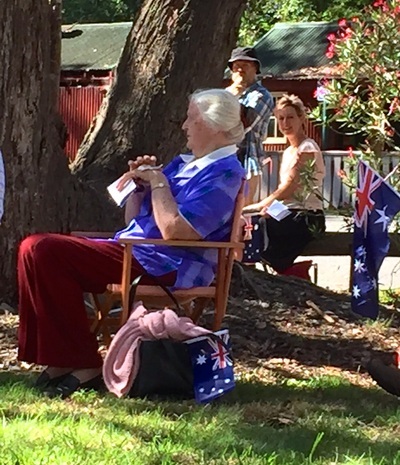 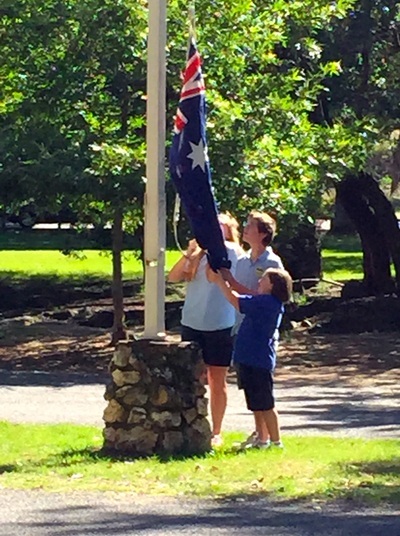 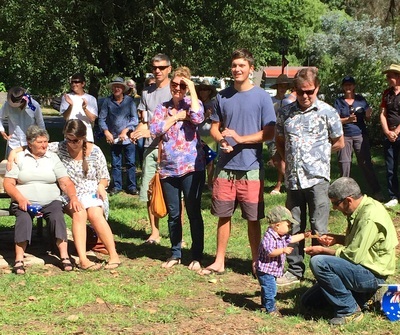 A beautiful 'blue day' dawned for Harrietville's Australia Day Ceremony held in Pioneer Park followed by morning tea in Avalon House. 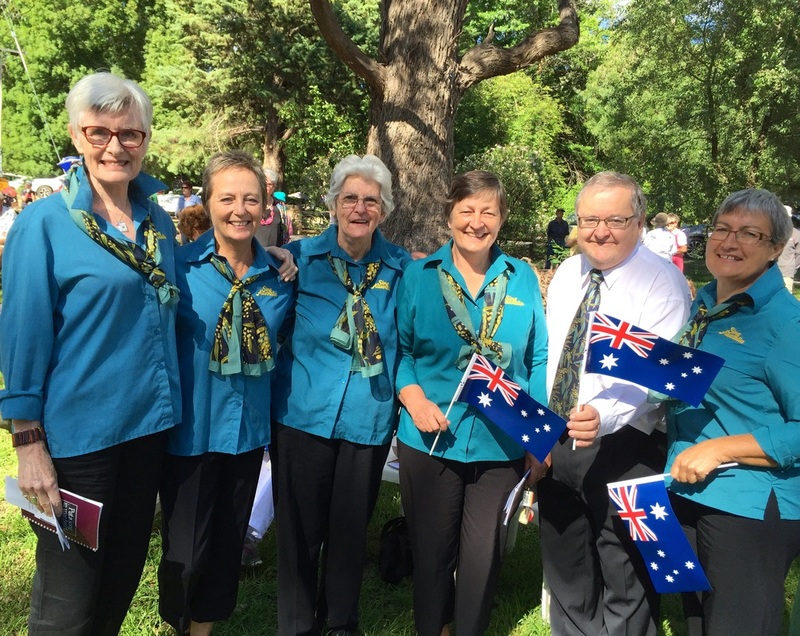 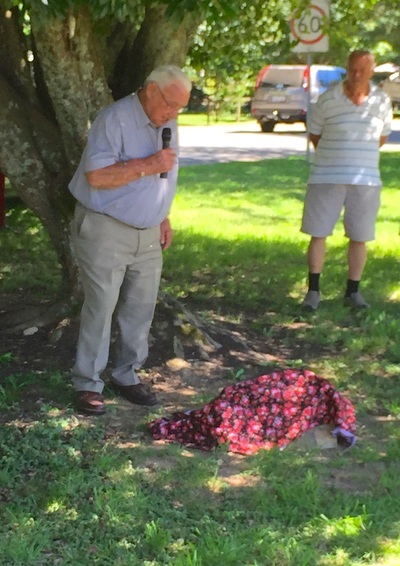 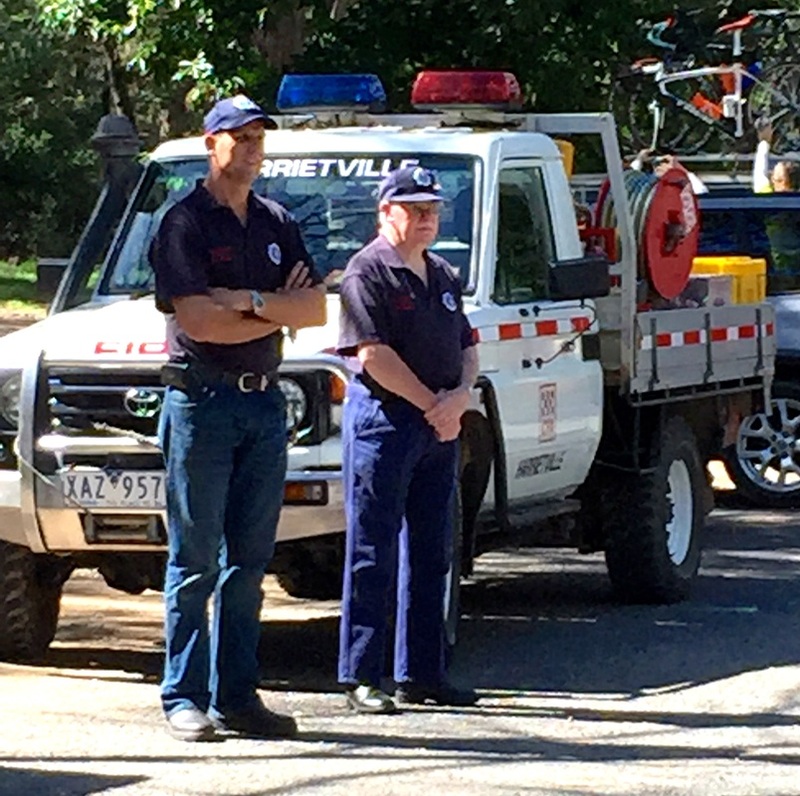 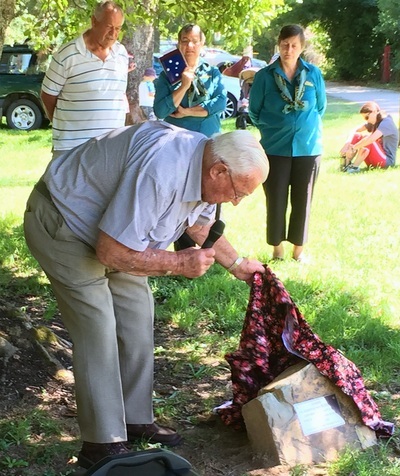 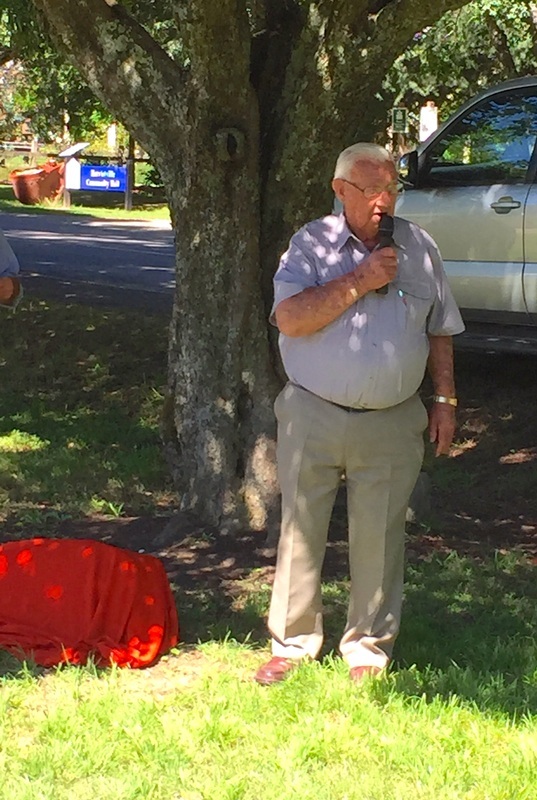 Master of Ceremony was local historian and President of the Harrietville Historical Society, Ian Stapleton, who called for the flag to be raised by student representatives of Harrietville Primary School followed by singing of the National Anthem by a local Bright choir, Sing Australia. 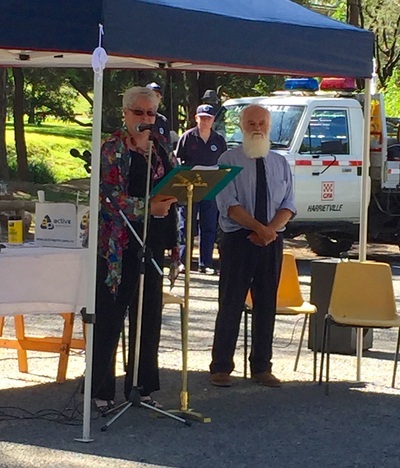 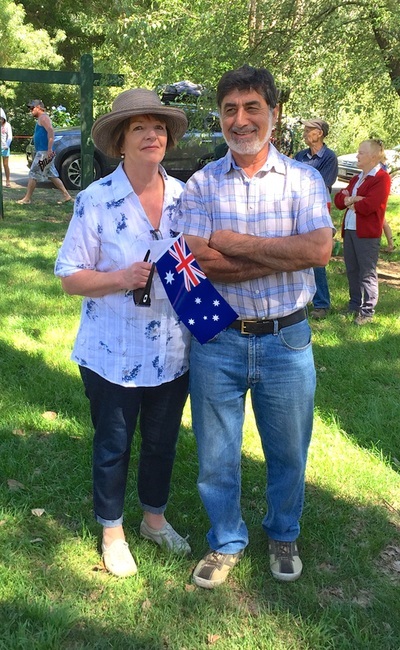 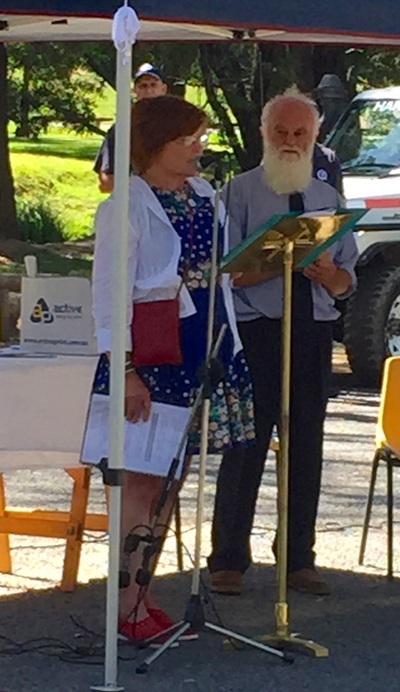 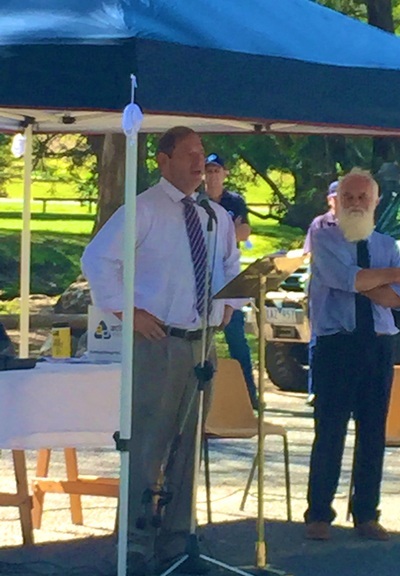 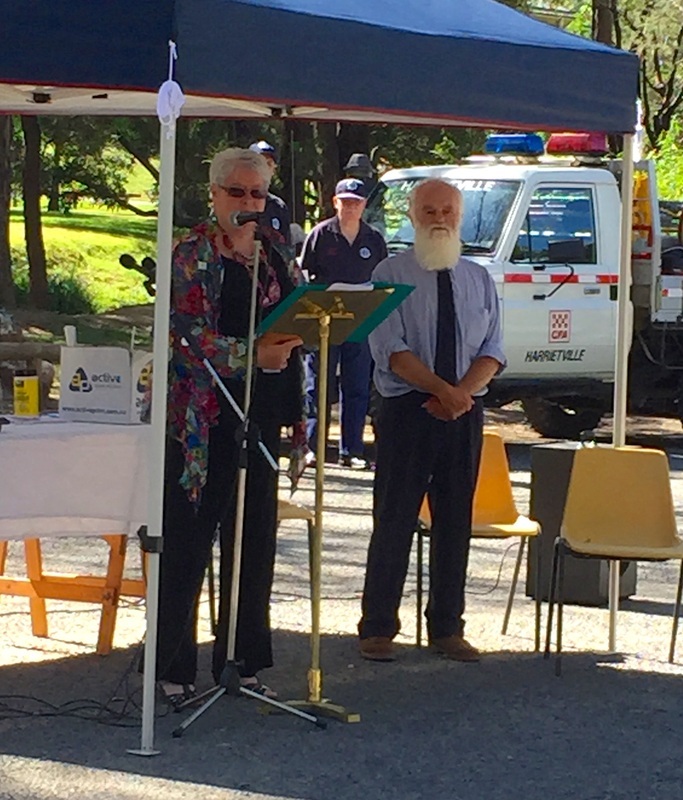 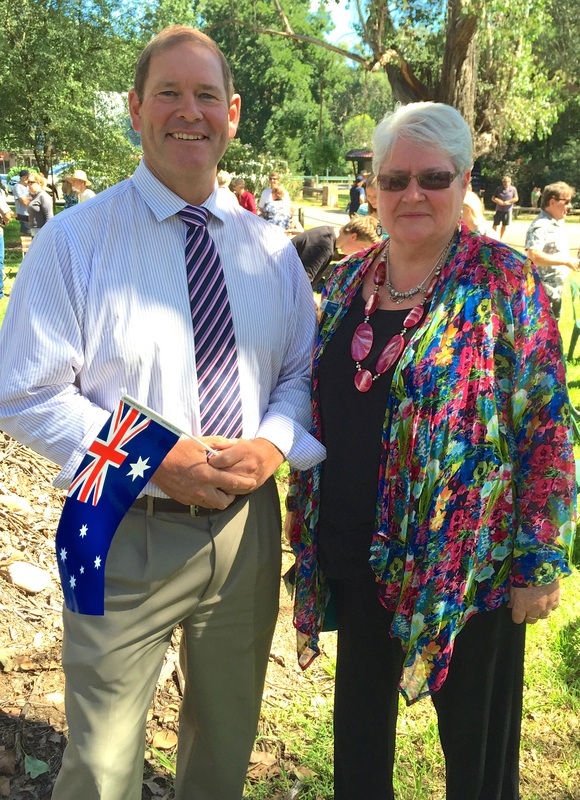 Ian introduced the Alpine Shire Mayor, Cr Jan Vonarx who led the Affirmation Ceremony and Cr Kate Farrell announced the Alpine Shire Council Australia Day Community Awards. Ian also introduced our new State Parliamentary Member for Ovens Valley, Tim McCurdy, who spoke of the need for us to appreciate, value and be proud of the beautiful part of Victoria in which we live. 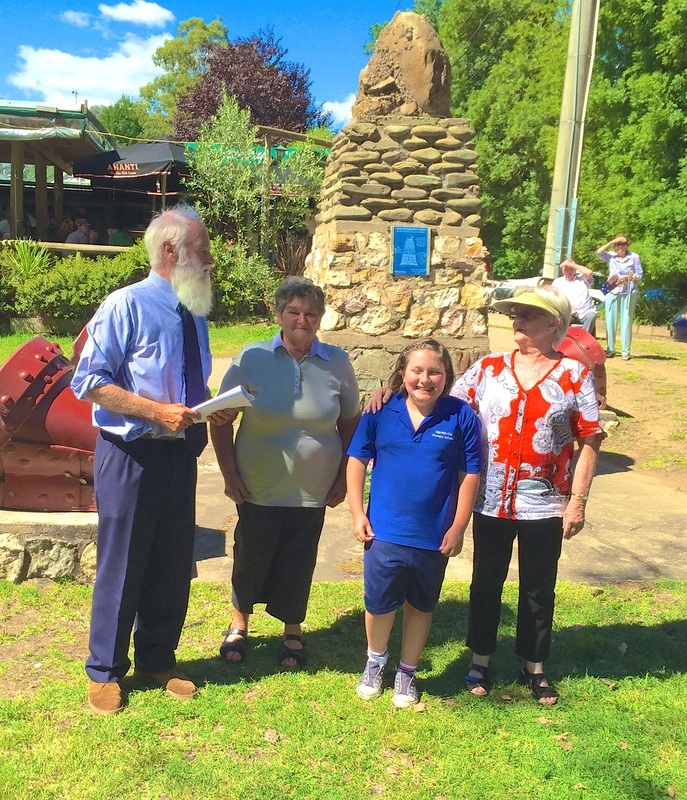 Guest speakers were the Russo family of Smoko. 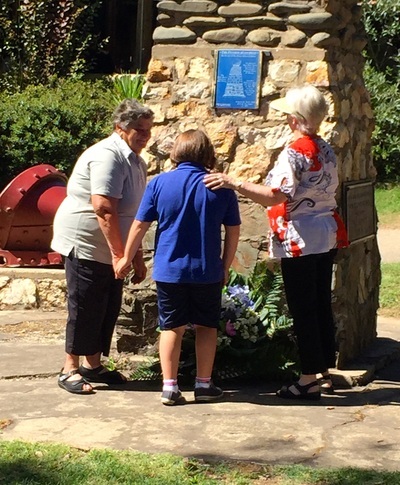 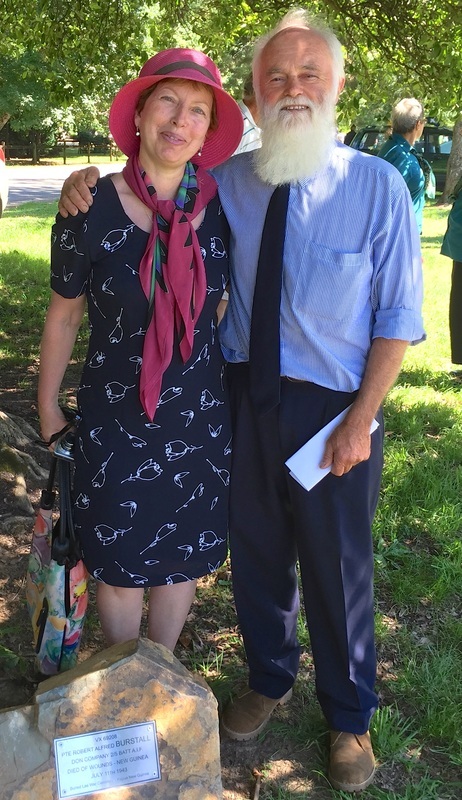 Grand daughter, Holly, read her grandmother, Anna's story of her and husband Joe's life as Italians settling in Northern Victoria. Life was difficult, poor, lonely and they struggled to be accepted by the established community until 1965 when they moved to Smoko. Anna did the mail run to Harrietville and they grew vegies and tobacco eventually concentrating on fruit and vegies which they sold locally and in their 'Big Shed' which until 2 years ago was a cafe and store. 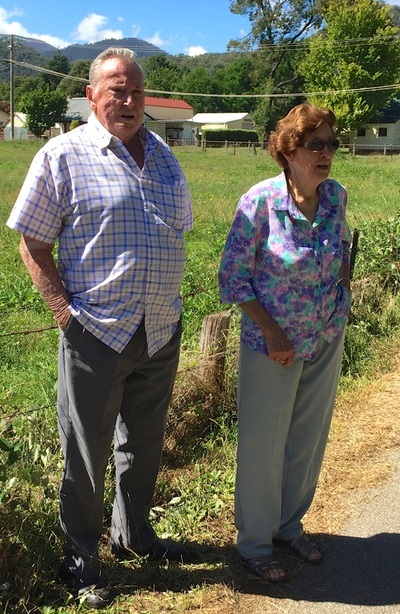 Anna says Australia has been wonderful to her and Joe, who sadly passed away at 77yrs, as it gave them the opportunity to do what they love and to prosper. She feels very lucky to live in this beautiful part of the world with her ever growing family around her and her garden at her back door. 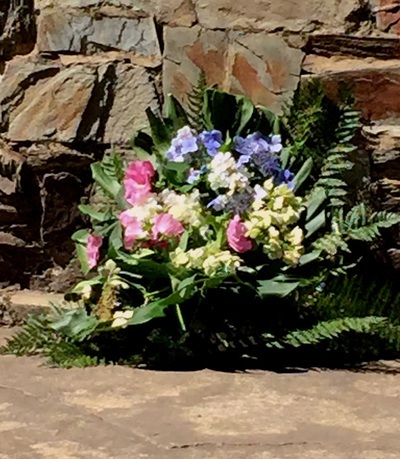 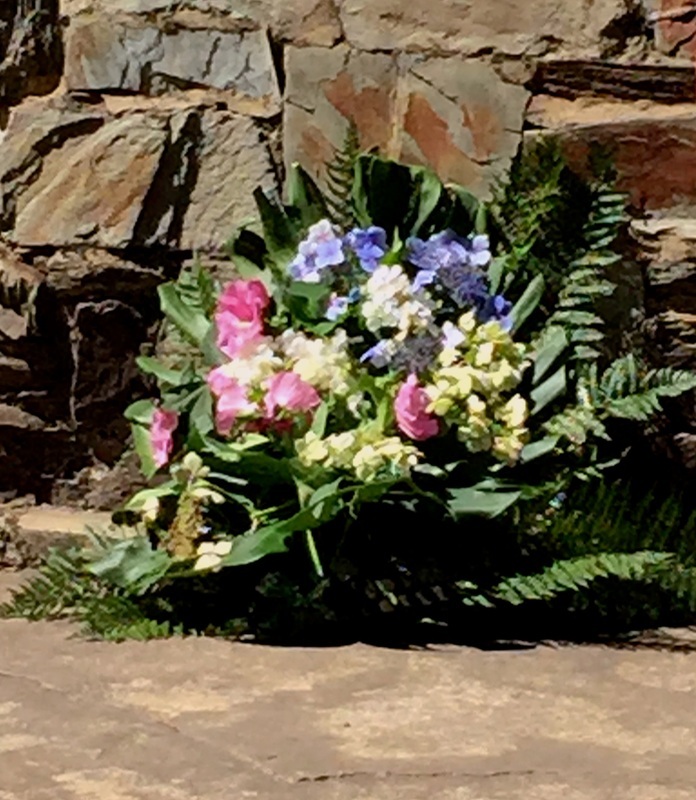 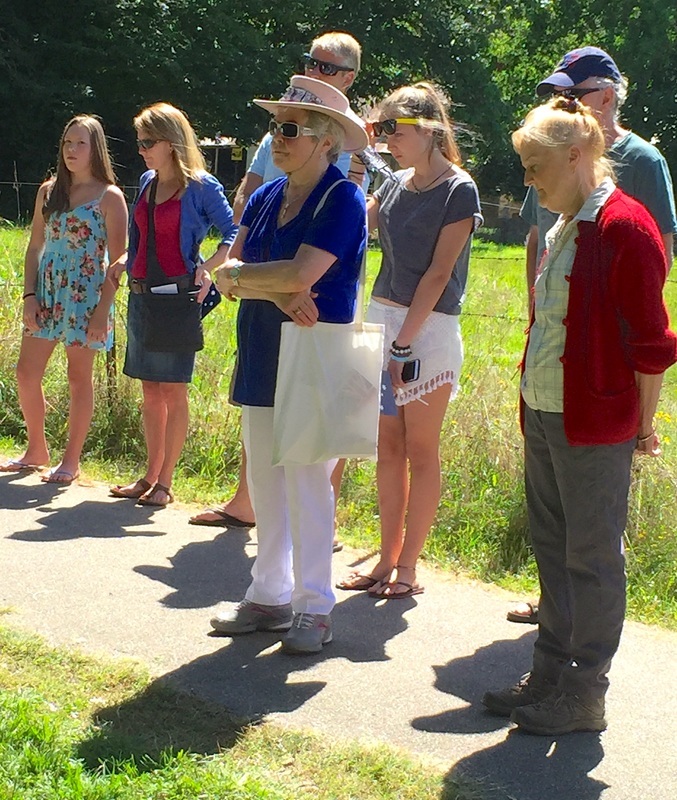 A beautiful floral wreath was laid by retired Museum Curator, Kaye Purdon, Anna Russo and school student, Kirsten Williams. 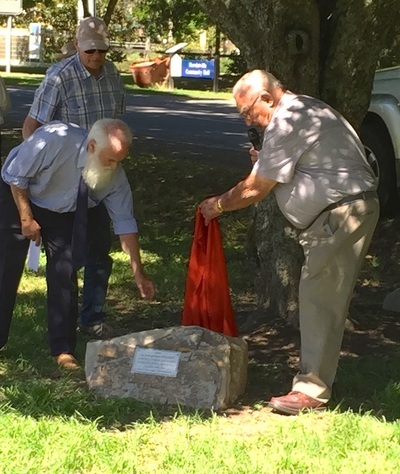 The group then moved to where memorial stones had been laid under two trees for two Harrietville servicemen killed in WW11. 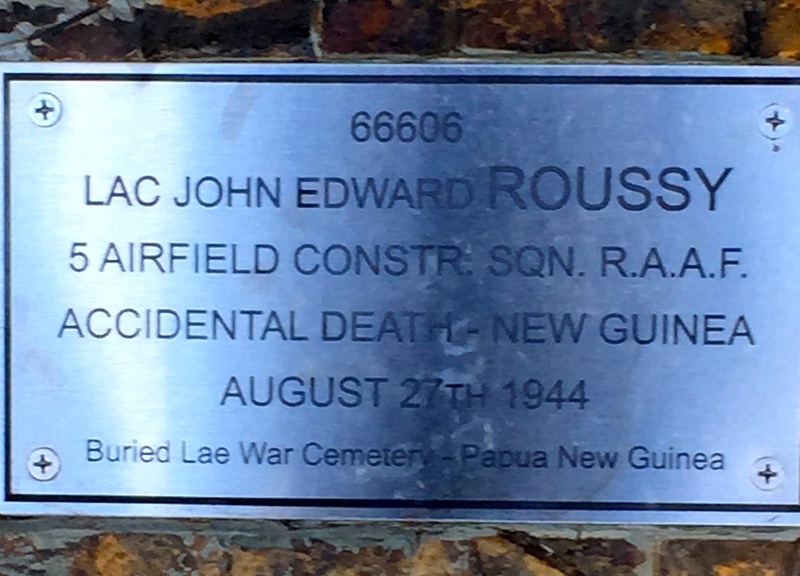 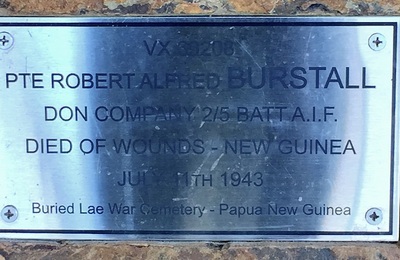 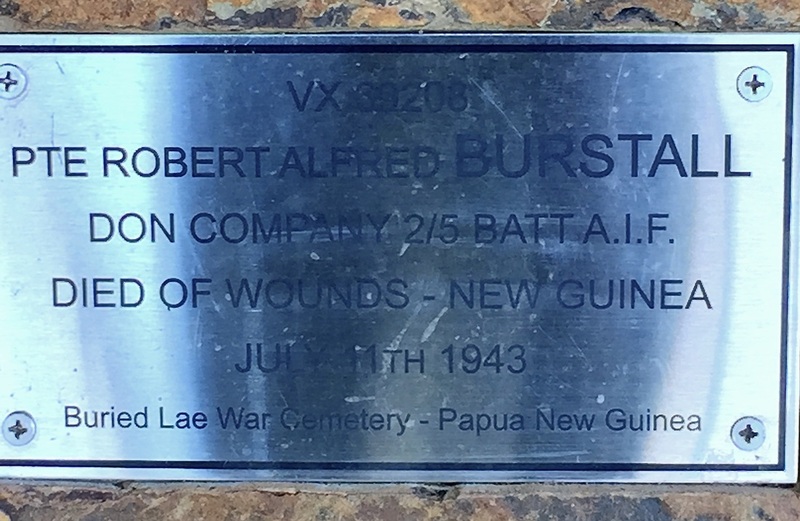 The plaques had recently been refurbished and relaid and were unveiled by past, longterm resident, Harry Bell, who knew one of the servicemen. 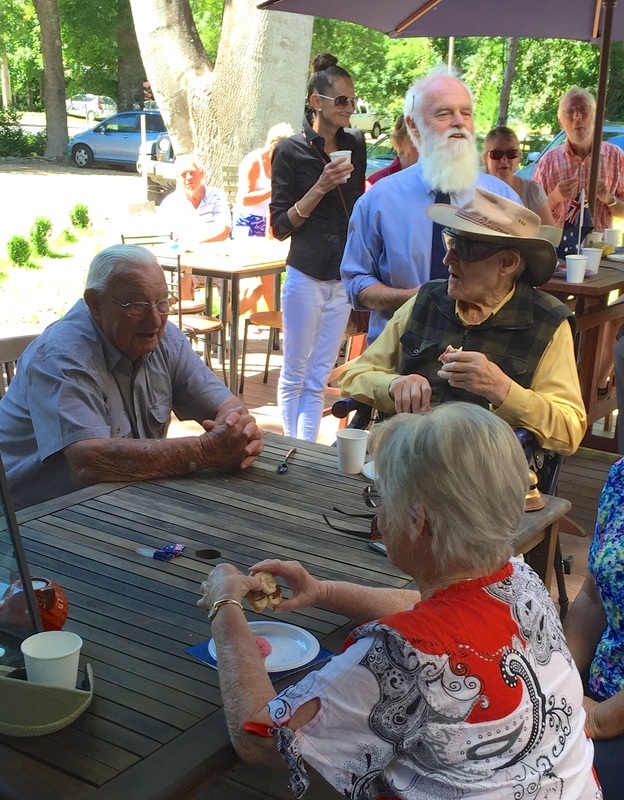 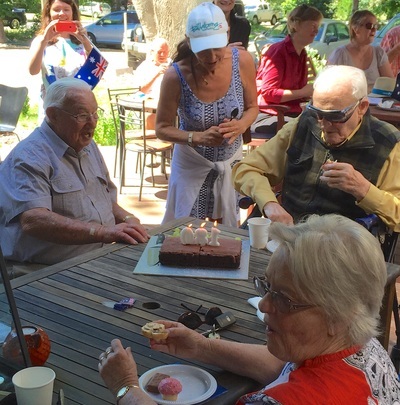 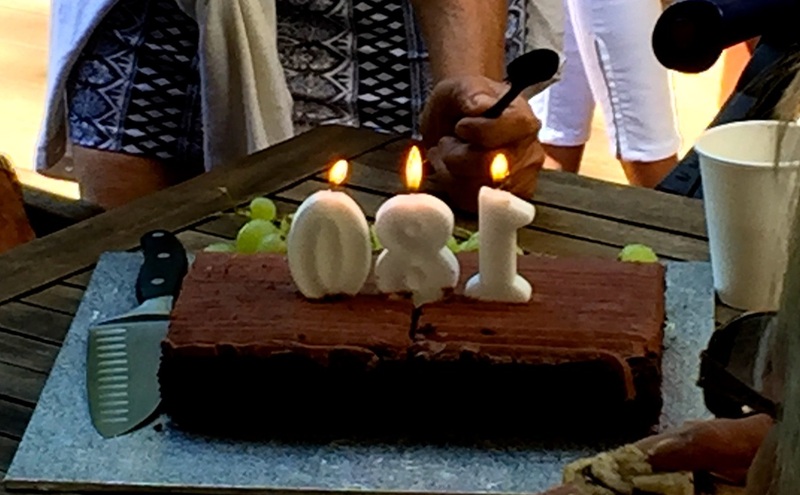 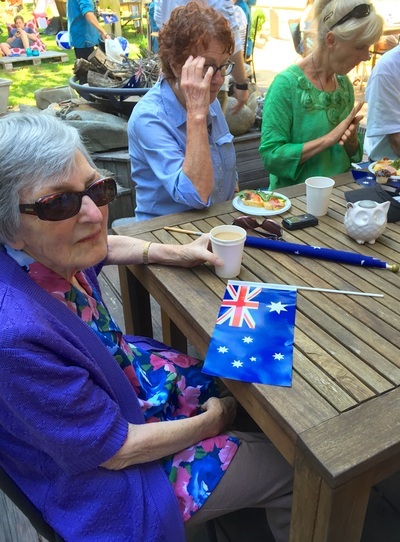 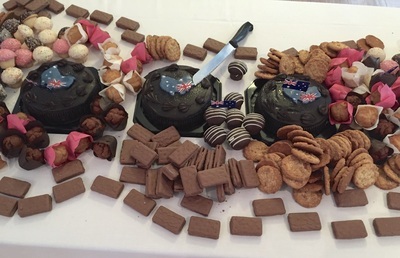 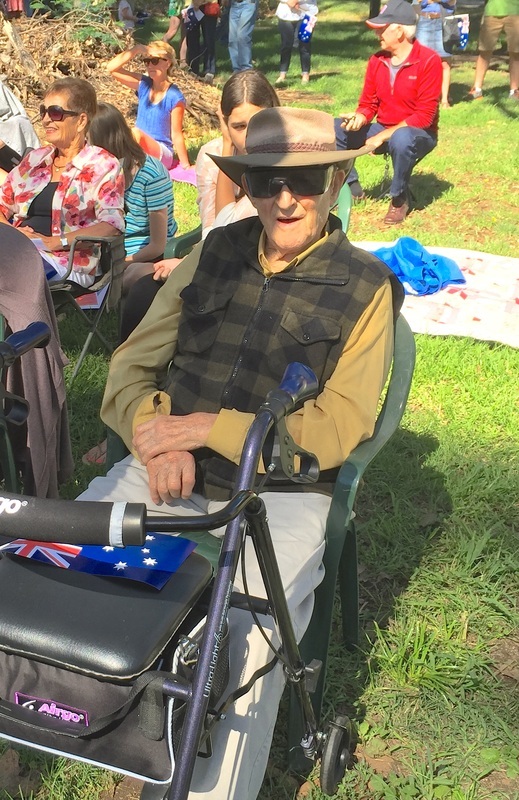 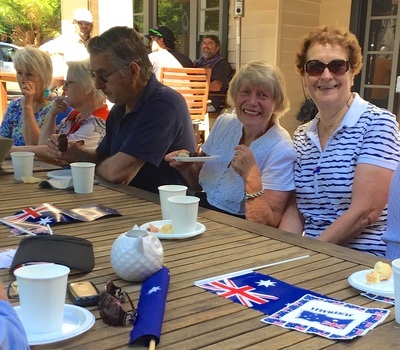 A delicious 'Aussi' themed morning tea was enjoyed by all at Avalon House where 90th birthdays were celebrated for past Harrietvillians Harry Bell and Les Lawson.